Wax-Chlorinated Polyethylene|CPE|Acrylic Processing Aid|AIP|Acrylic Impact Modifier|AIM|Impact Modifier|ADC blowing agent|Chlorinated Polyvinyl Chloride|CPVC|Polychloroprene Rubbe|Chloroprene Rubber|Neoprene |Chlorinated Rubber|Thermoplastic Polyurethane Resin|TPU)|High Chlorinated Polyethylene |HCPE|Chlorosulfonated Polyethylene|CSM-Acrylic Processing Aid, Chlorinated Polyethylene - Sundow Polymers Co.,Ltd. Waxes are widely used throughout the world for a range of applications, including packaging, coatings, cosmetics, foods, adhesives, inks, castings, crayons, chewing gum, polishes, candles, paints, plastic stabilizers, textile auxiliaries, masterbatch, foaming agent, plastic forming and other industries. WellubTM Waxes are Polyolefin Wax, Oxidized Polyethylene Wax and FT wax produced by Sundow Polymers Co.,LTD. The polyethylene wax is fully saturated homopolymers of ethylene, which has high degree of crystalline and linearity. 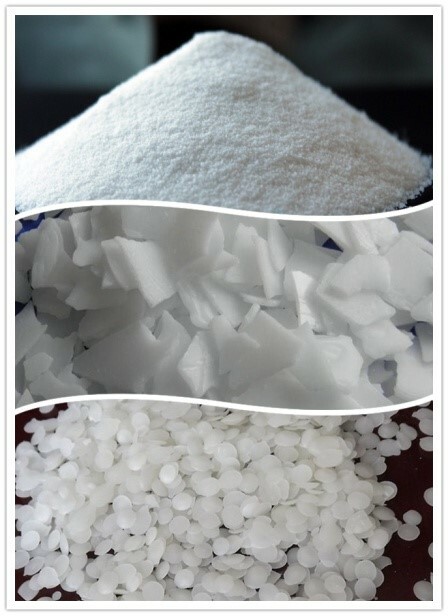 PE wax has a high crystalline value and thus it has attributes like low solubility in solvents, higher hardness at elevated temperatures and oil thickening capability. Compared with PE Wax, the molecule structure of OPE Wax have some hydroxyl groups on them. So the intermiscibility with the polar resin will been improved a lot. It is better than PE wax when it is with the polar material. FT wax (Fischer-Tropsch wax) is manufactured with natural gas as a raw material. With its high melting point and low melting viscosity, this FT wax has hardness with excellent heat stability. 1. PVC stabilizer and PVC products. 1. PVC stabilizer and lubricant. 2. Lubricant and dispersant used in rubber compound. 3. Dispersant and lubricant in the color master-batch and filler master-batch. 5. Hot melt road marking and printing inks. 1. Dispersant for color master batch processing. 2. Interior lubricant for PVC products. 3. For water-based paint and ink, the paint coating, polishes and textiles. 4. Improve the sewability and fabric cutting performance in the textile. 5. For papermaking, printing, dyeing and other industries after the emulsification.